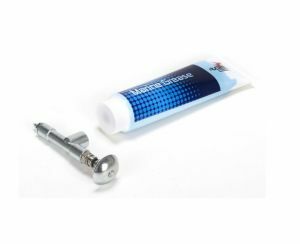 Allows boaters to apply grease easily and neatly to their models’ moving parts. Pro Boat’s waterproof Marine Grease adheres to most surfaces. Grease Gun w/ Marine Grease 5 oz. Great for solid and flex shaft applications. Lithium complex grease with anti-sling technology for superb adhesion. Outstanding structural stability and resistance to water contamination. Designed for use in multiple RC applications.